With over 10 years of successful practice, Dr. Mary Beth Eastwood’s reputation for gentle, mobilization of the spine and extremities has earned her great respect in the Austin community. 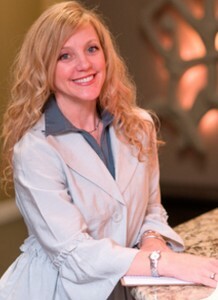 Dr. Eastwood has created a tranquil, spa-like atmosphere because she believes that your healing begins the minute you enter the office and continues well after you leave. Triangle Chiropractic is not only known for excellent service, it is also famous for results that last. Many of the patients state they feel better just walking in due to the positive approach she takes with patients as well as training her staff. Our website gives examples of conditions we treat. We have commonly treated conditions listed here but we treat many that aren’t listed. You are welcome to contact our office and schedule a time to speak with Dr. Eastwood to discuss the specifics of your case and to find out if chiropractic is right for you.